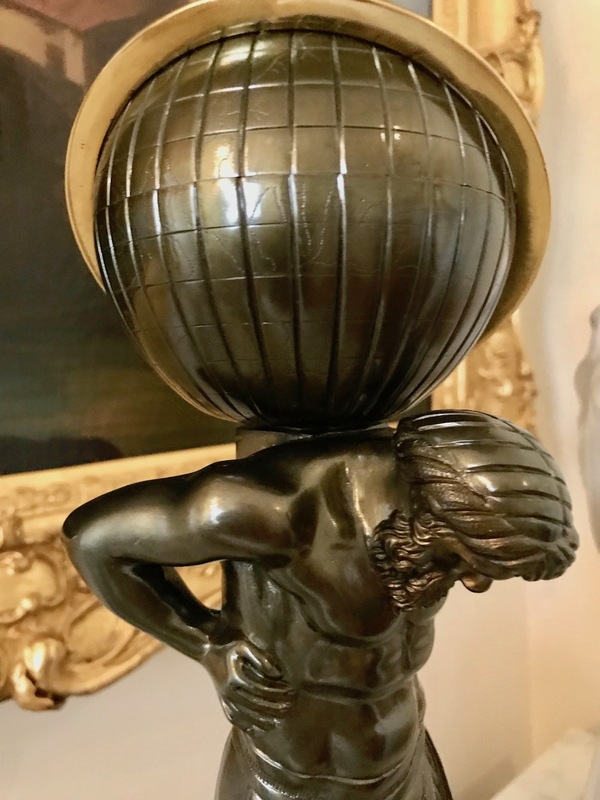 This superb pair of Regency sinumbras depicts Atlas holding up the heavens. 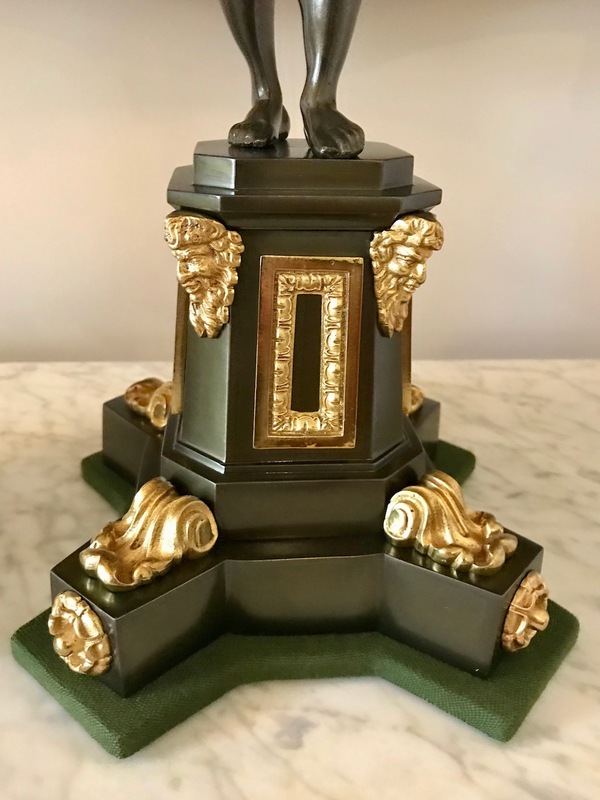 While the figures are patinated, two-tone gilt finishes are utilized to pick out cast details such as classical masks, foliate brackets, and rosettes. 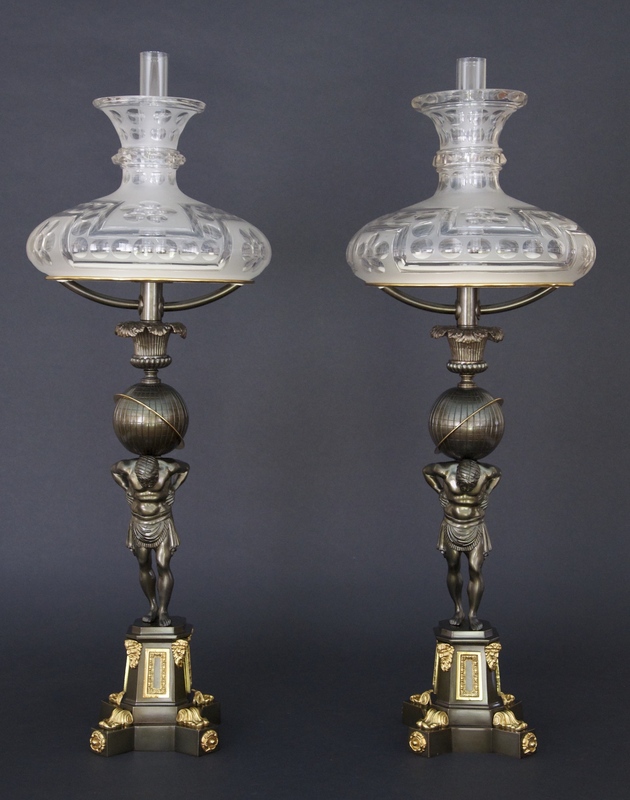 The sinumbras are topped with beautiful blown and cut glass shades. 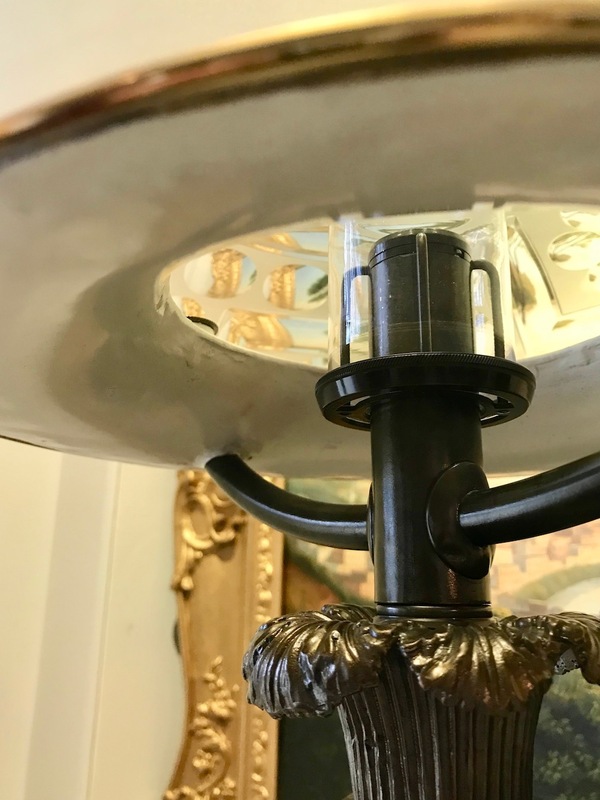 The cast iron base weights are impressed with the mark TC SALT for Thomas Clutton Salt, one of the premier Birmingham lamp manufacturers of the Regency period.